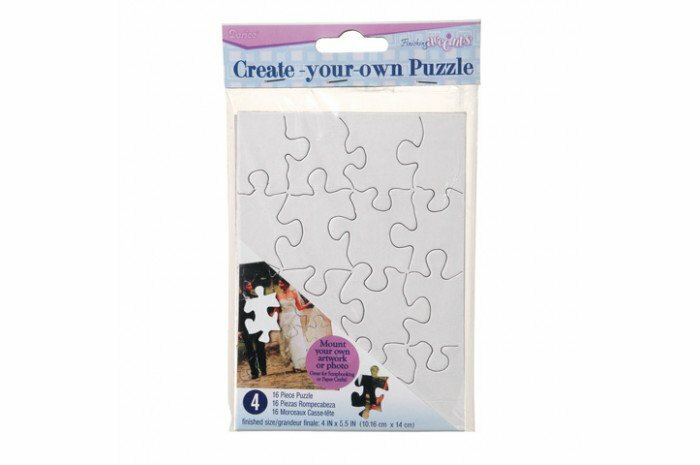 Set of four blank puzzles with endless possibilities. Make a unique creation using colored pencils, crayons, markers, stamps and more. 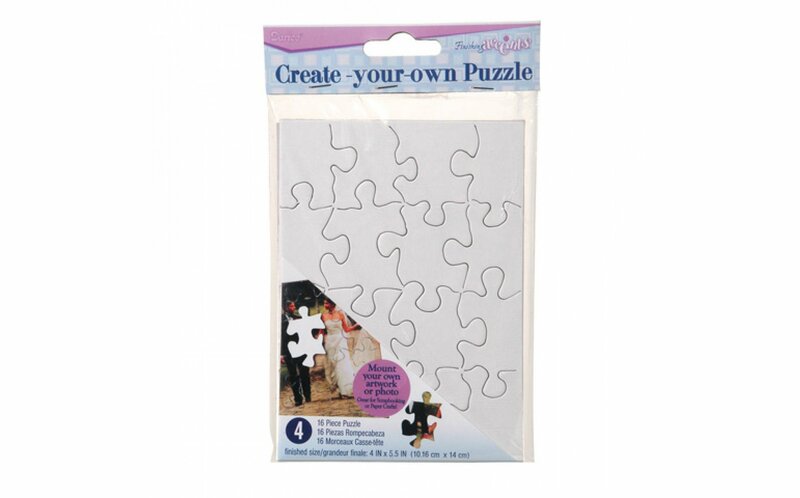 Each puzzle is 16 pieces. Size 4" x 5.5"